Hi! I am so excited that today is F-R-I-D-A-Y!! My weekend is off to a great start. 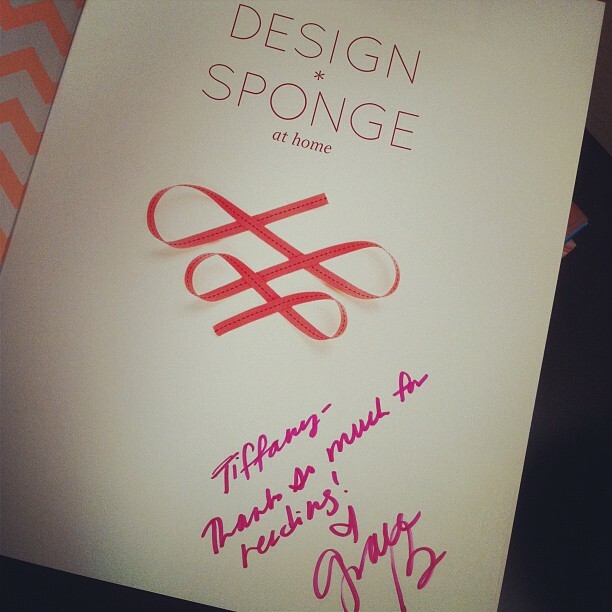 Last night I went to the Design* Sponge book signing at West Elm and met the amazing Grace Bonney! 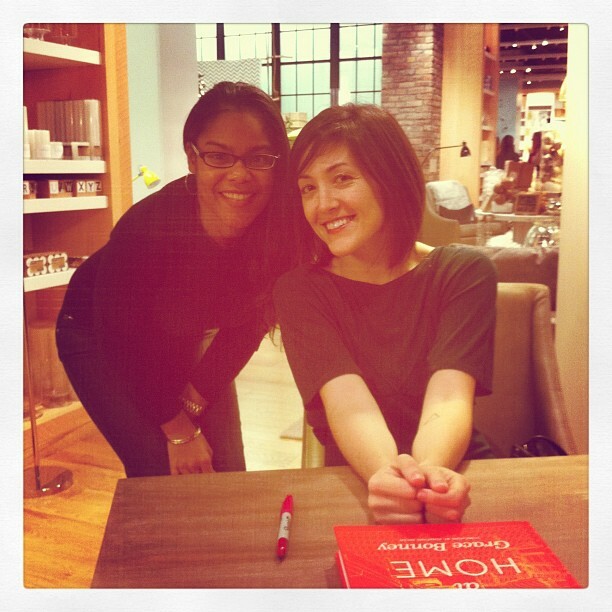 While she was signing my book, she and I were talking about the crazy traffic here at Atlanta. She was tweeting about it before she arrived. It was raining last night, so she experienced it at its worst. She gracefully thanked me for coming. I'm so excited that I met her! I intended to leave after the signing. I've been a little obsessed with globe pendants lately. They are so simple, but exude so much style. But I would be lying to you. Stop by next week for all the details! That's so cool that you got to meet her! 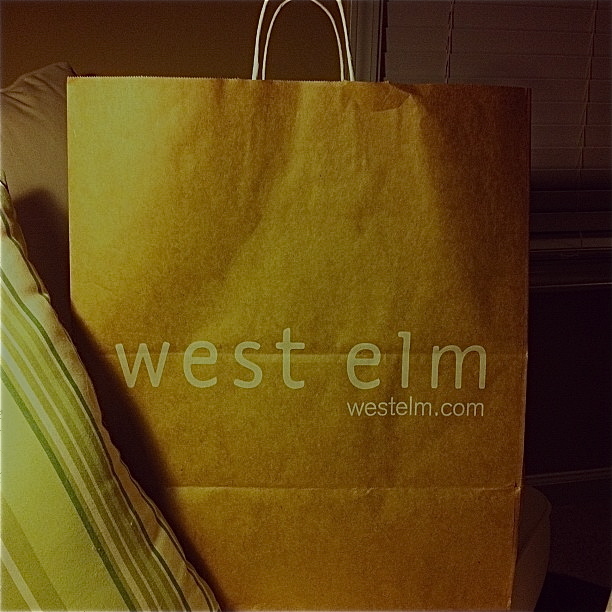 We don't have a West Elm here in our tiny city, but window shopping with you is fun. Love that mirror! Thanks for sharing. It's so neat the designers West Elm is pulling in now! And I love the little bowl. And your watch. :) And am excited to see what other goodies you picked up. How nice that you met. I would LOVE to visit that store, I am certain I would have to stay there all day to really take it all in....great highlights! What a fun night! 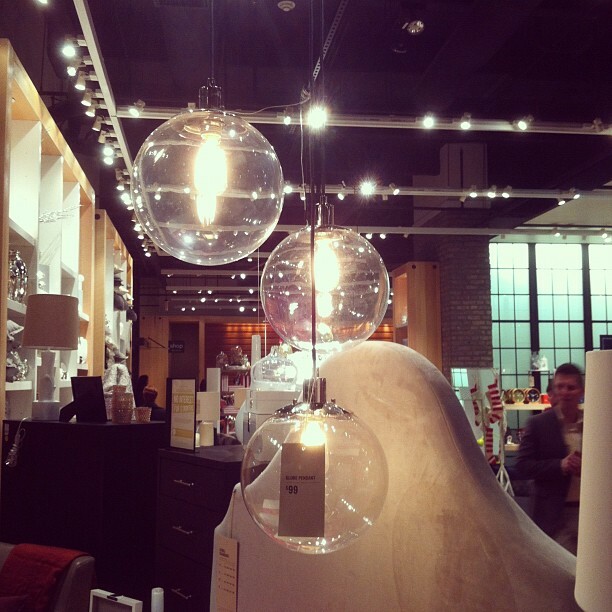 West Elm is no doubt amazing. 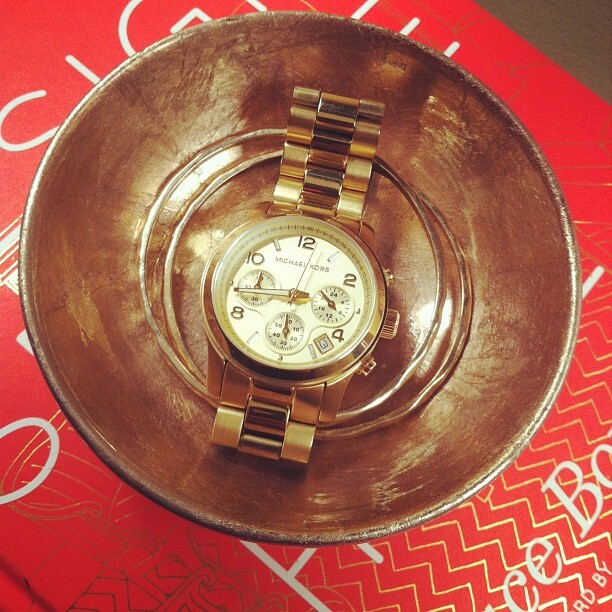 I can't get enough West Elm bowls, I keep buying new ones, they always have the most gorgeous ones! I can't believe I didn't realize she was coming to an Atlanta west elm! I could have gone and met her...and you! Darn it. Thanks for sharing the photos!! 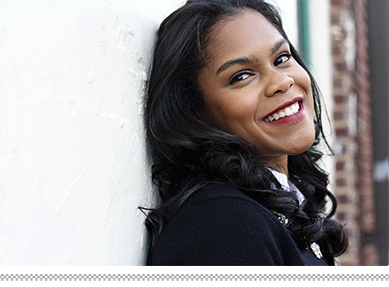 Can't wait to read her book! Looks like you had the best time! I wasn't able to attend the Seattle event when she was here. I adore the bowl you bought, it's perfect! I can't even tell you what an idiot I would make of myself if I ever met any of my idols...seriously. Like if I ever met Jaime Meares, she would probably think I had serious mental issues! (c: And combine that with shopping at the fabulous WE, sounds like a great night! Sounds like a wonderful day, and that mirror is fabulous!!! 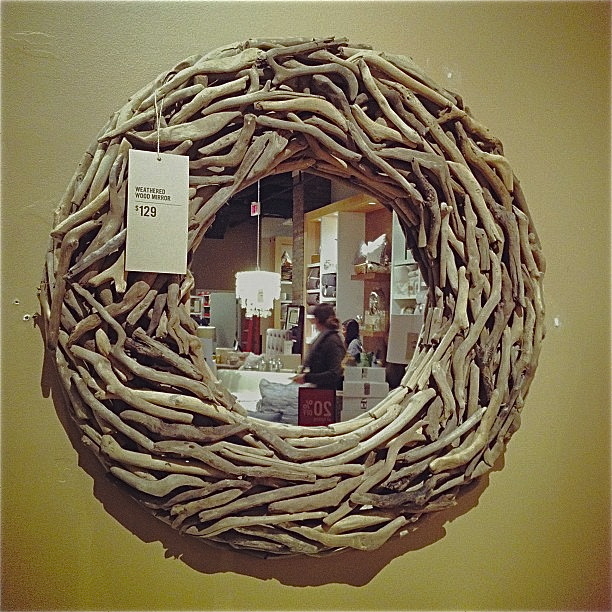 What a fun piece to add to a room! I really wanted to go to that but something came up. 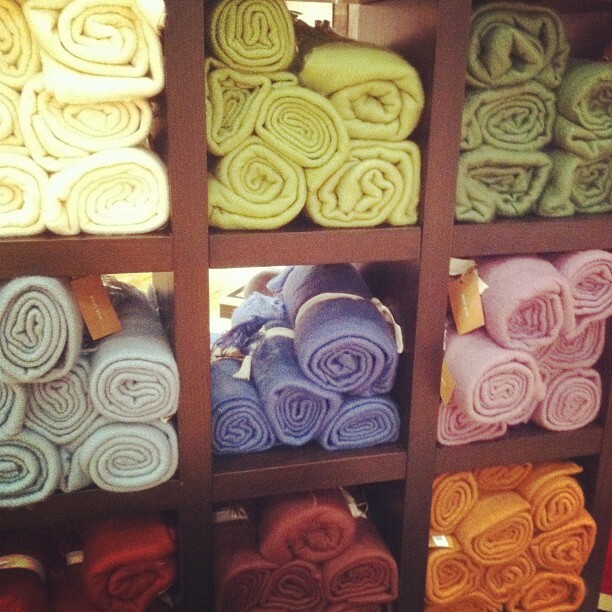 I was at West Elm yesterday and they have stocked their store with so many good things this season!!! great to see that she stopped by..i was wondering if she would.